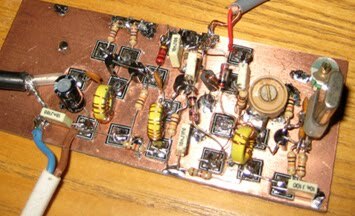 WISPY is a simple DSB beacon transmitter for 10m WSPR. 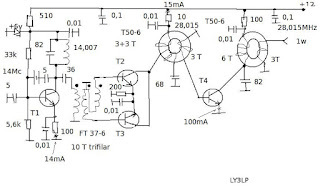 The idea was to use a low cost 14.060 crystal, available from many sources, in an oscillator-doubler circuit feeding a diode single balanced mixer and small low cost PA. 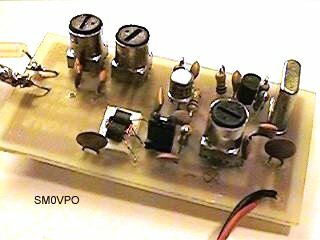 In this project, you will make a simple 3-stage low-power broadcast-type circuit, using a crystal oscillator integrated circuit and an a collector modulated AM oscillator with amplifier. This one can be heard well within 5 meters. Is very good , KE7HR Paul R. Jorgenson -five crystal ,VXO . VXO my work on 28,2 MHZ. Nice emitter manipulation of the T1. 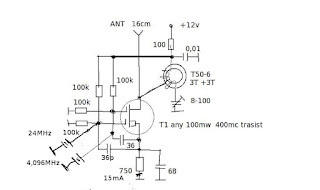 T1-T3 any 150mc transistor. T4 is 1w, or two 2n2222 in parallel. T50-6 rings, perpendicular. If more power needed one can connect NB6M QRP "gallon". Three photographs and circuit diagram of Klaas Robers' 10 watt, 29 MHz all tube NBTV transmitter, as published in NBTV Newsletter Vol.29 No.2. After the success of the CANARINHO, CURRIRA and the CURUMIM we decide to build a QRPp transmitter, now for 10m . This is the AMA-TIRI. 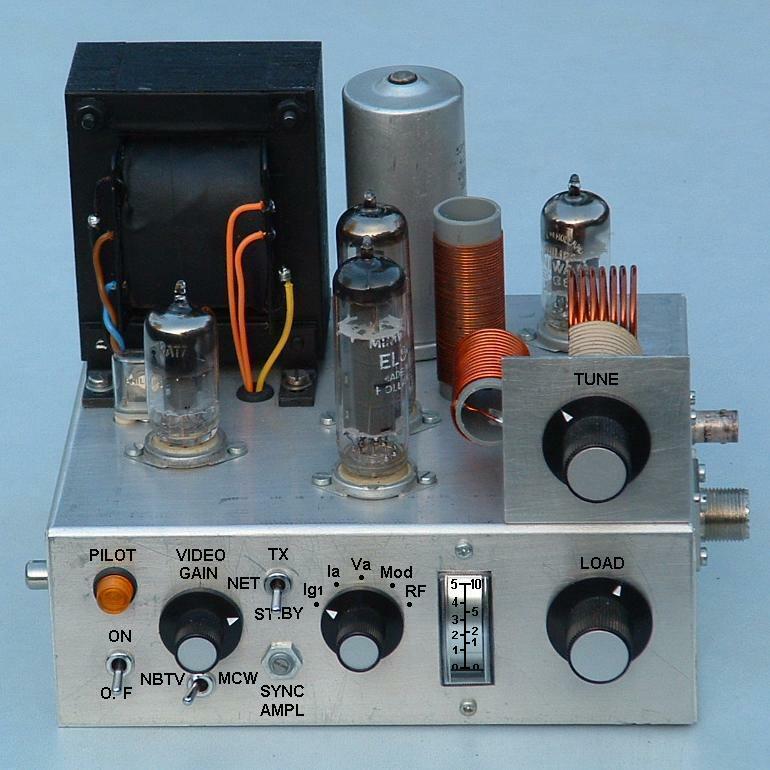 The 27MHz radio control receiver project and the proportional R/C encoder/decoder project were created many years ago. The transmitter portion has never been published. The first time I came across this circuit was in 1964 when I read the book "Simple Radio Control" by H.G. Hundleby. 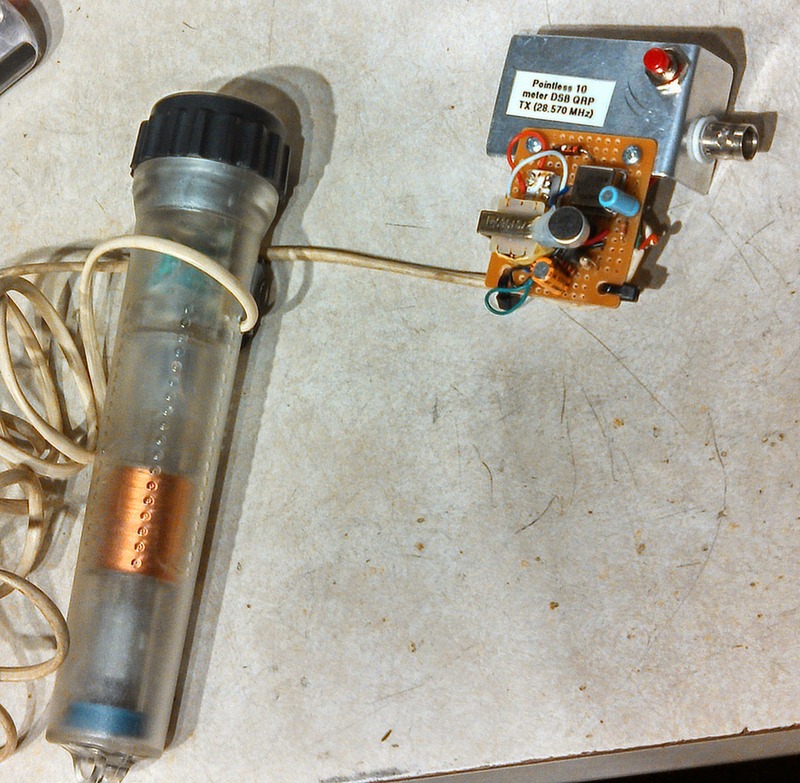 It was called the "Aeromodeller" Transmitter and was a free running oscillator without a crystal. 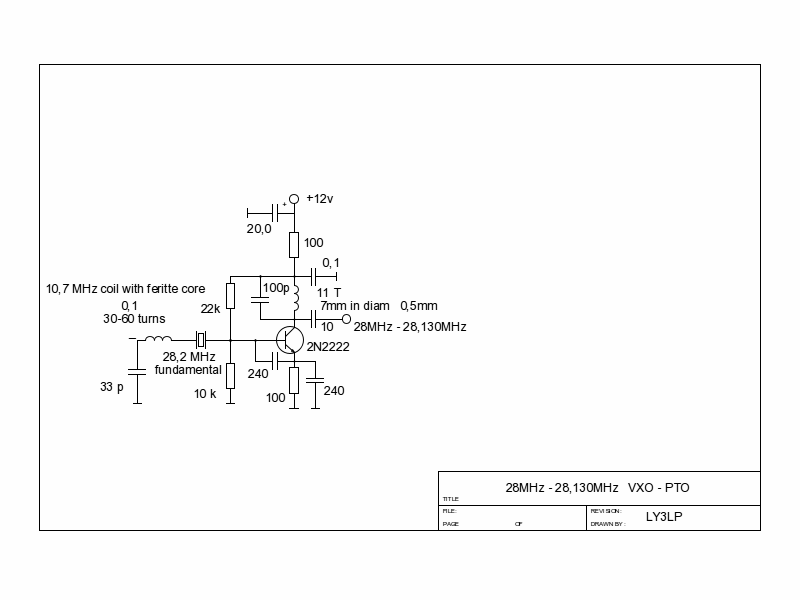 Very simple PTO -VXO . 10,7 MHz coil , glued on ferrite rod - shirt button.